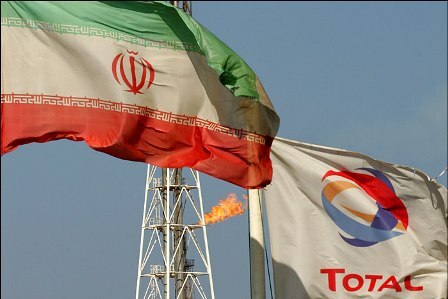 Conservative factions of the Islamic Republic are making an effort to slow the implementation of an agreement the Rohani administration has made with French company Total for the development of Southern Pars oil project. A group of staunch supporters of Iran’s Supreme Leader Ayatollah Khamenei in parliament told the media that they have prepared a bill calling for a serious review of the contract to confirm that its articles are not in any way contrary to national interests. Hoseinali Deligani a conservative MP told “Khaneh-ye Mellat” news agency that a review of the agreement reveals that decisions were made “hastily without sufficient regard for national interests.” He added there is concern that certain legal conditions were not fully observed and Chinese companies were not given the legally allotted time to respond. The new agreement which was executed on Monday July 3 hands over a consortium comprised of the French Company Total, China’s CNCP and Iran’s Petropars the development of Phase 11 of the Southern Pars oil project. The contract is estimated to be 4.879 billion dollars and is slated to complete within 40 months. Ahmad Alam-ol-Hoda, Mashhad Friday Mass Imam and Ayatollah Khamenei’s representative in Khorasan Razavi Province has slammed the agreement and called it “exploitative and result of Western colonialism”. He has accused the oil minister of offering 75 percent of the profits from the contract to Total. Bijan Zanganeh Iran’s oil minister has denied the allegations. Meanwhile some conservative MPs say they are collecting signatures in support of their bill to suspend the agreement while other say they are only preparing a letter to be handed over to the president. President Rohani has assured Total CEO that his administration is determined to co-operate with large corporation such as Total. In 2010 the fifth phase of Southern Pars project was given to the Revolutionary Guards linked Khatam-al-anbia Base but their progress in developing the natural gas resources shared between Iran and Qatar was not significant. Hassan Rohani has presented the recent contract with Total as a sign of his government`s ability to end the barriers of international sanctions and a promise of returning health to the country`s ailing economy. Tags: hardliners, Hassan Rouhani, Iran Oil, Moderates in Iran, Party Conflicts Iran, Total S.A.